It was my Mum’s 50th Birthday last week and my sister wanted to do something really special for her and has asked for my help. Whilst we have the three boys and they are every bit my children, my family and I didn’t get to experience them from birth because they are my step sons. In May we found out that my sister’s more than usual lethargic self (she is a chef, works upwards of 70hrs a week and suffers from transverse myelitis) was actually due to her growing a beautiful little human being! (Due Christmas Day and all) We are all so overjoyed it isn’t funny! 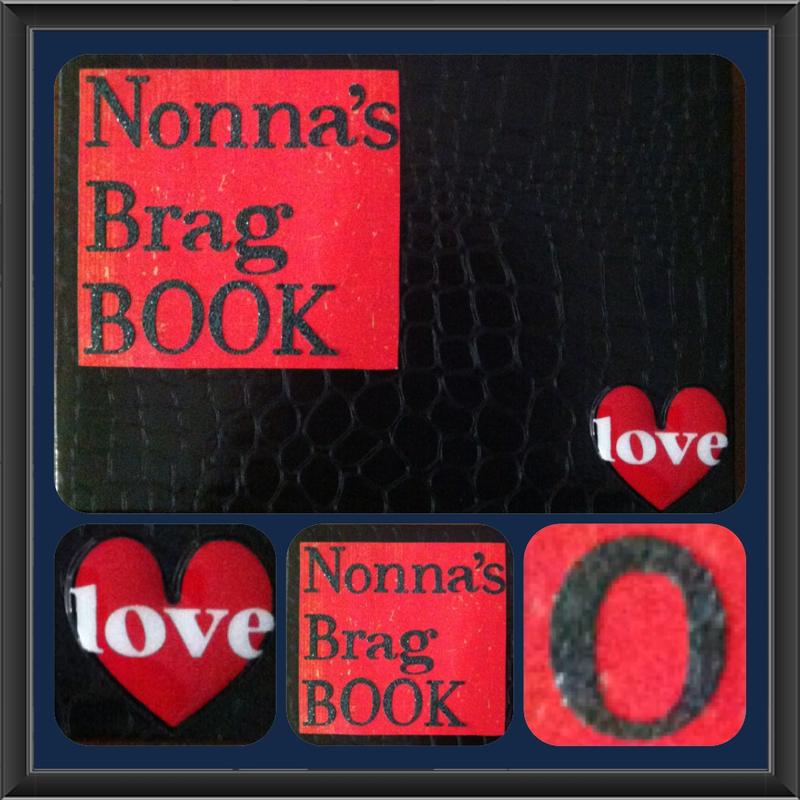 You know the Nanna’s Brag Book’s that you see? Well, my family is Italian, and we don’t have Nanna’s, we have Nonna’s. 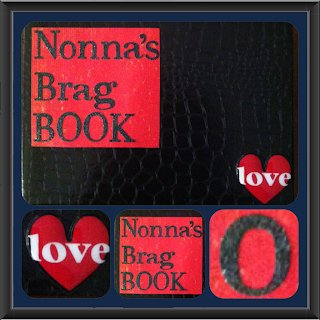 And we both seriously doubted we’d find a Nonna’s Brag Book. The embellishments and letters I already had in my collection of scrapbooking bits and pieces, but the photo album literally cost me $3.00 from KMart. Left to Right: The Love Heart is a puffy sticker in a set that my sister gave me last Christmas (not too sure where she got that from). The Red paper was from a booklet of papers I got from the Sewing and Art Show this year which is kind of oriental themed. The black glitter letters I bought from KMart a long time ago. You could do this for any type of occasion. Birthday, Christmas, Easter, or perhaps even just a collection of your favourite memories and add the recipient’s name to the front cover. Just to add an extra "Nawwww" of cuteness, here's the card that the littlies made for their Nonna's 50th Birthday. Aaron bought them a big poster board from the Newsagents, and we folded it in half to make a giant birthday card. Aren’t they just Darling?! I can’t wait until Mum gets her pressies! We are heading to Tassie on Thursday morning, and I’ll be taking the Nikon for a spin so be prepared for some boring family holiday blogging when I get back!